Merissa Kovach: Field Organizer at the ACLU of Michigan and Co-Director of MI Lead, a Michigan Women’s Coalition focused on women’s health, economic equality & education. As the Field Organizer, she is responsible for enhancing the political capacity and effectiveness of the ACLU by building local activist bases of ACLU members and assisting in the implementation of statewide issue campaigns. Lara Chelian, JD: Director of Advocacy & Development at Northland Family Planning Centers in the Metro Detroit area. She has over 10 years of experience working in the reproductive justice field through her previous & current work with Northland Family Planning. One of her favorite projects was joining Northland together with Choice Network, a pro-choice adoption agency. Thus far, we have had 30 successful adoptions in just over 2 years. Presently, her work’s focus is co-directing a newly-formed Michigan women’s coalition called MI Lead to focus on women’s health, economic equity & education. Following the presentation, we will have ample time for questions and discussion. 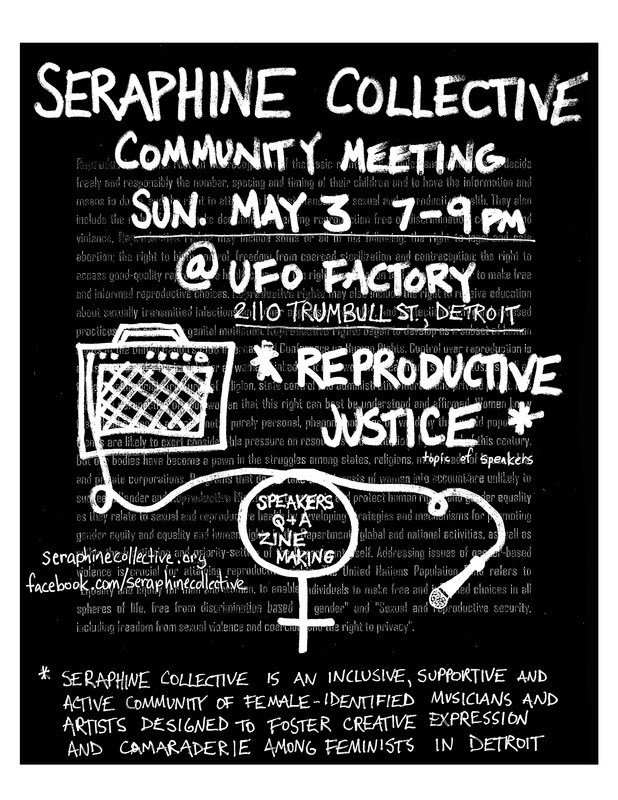 Attendees will be encouraged to create submissions for our Spring zine focused on fertility and reproductive freedom. Stay after for the always-entertaining JENNYOKE.